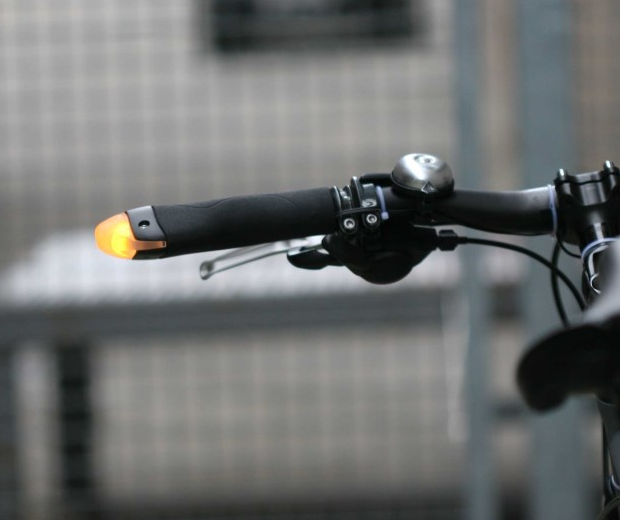 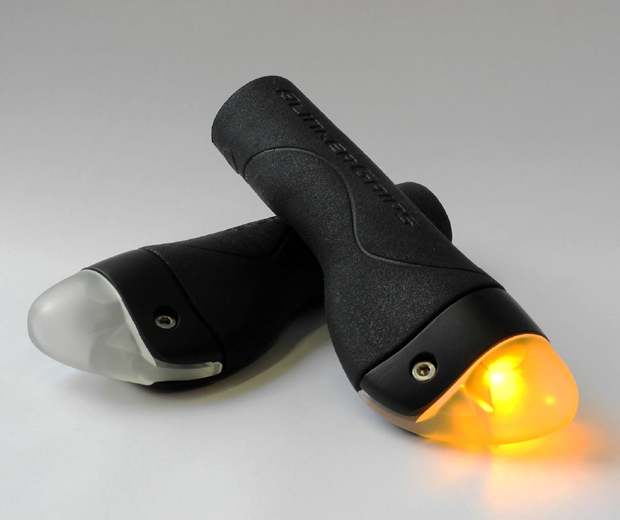 Bicycle grips with integrated LED turning signals, easy thumb operation, impact resistant and splash-proof! 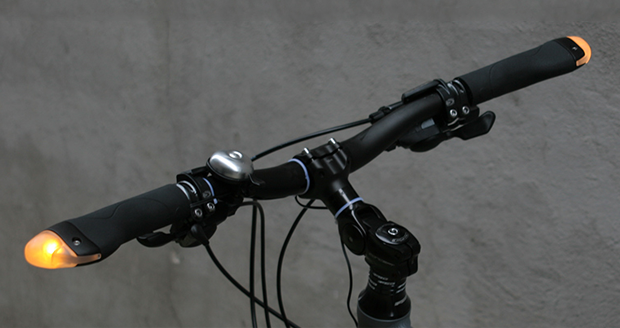 They also have a lock-on system to prevent theft. 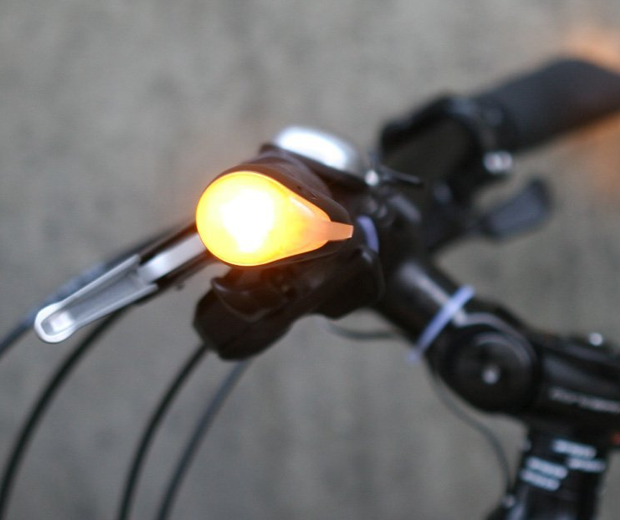 Be seen be safe!